Leontyne Price was a prima donna soprano (the lead female singer in an opera) and considered in most many circles as one of the finest opera singers of the twentieth century. Mary Leontyne Price was born in Laurel, Mississippi, on February 10, 1927. Her parents were especially encouraging in developing their daughter's love of music. As a young girl, Price played piano and sang in her church choir. Nine-year-old Price was especially influenced when she saw American opera singer Marian Anderson (1897–1993) perform in Jackson, Mississippi. She claims this experience as the moment she knew she wanted to be an opera singer. Educated in public schools in Laurel, Price then attended Central State College in Wilberforce, Ohio, where she received her bachelor of arts degree in 1948. Her particular interest was singing in the glee club at Central State, where she displayed an abundance of musical talent, and she decided to make a career of singing. After Central State College, Price entered New York's Juilliard School of Music where she studied until 1952. At the same time she took private lessons under Florence Page Kimball. Price was the first African American singer to gain international stardom in opera, an art form previously reserved for the upper-class white society. Her success signified not only a monumental stride for her own generation, but for those that came before and after her. While still at Juilliard, Price exhibited her soprano (highest operatic voice) ability at various concerts and in her appearance as Mistress Ford in Giuseppe Verdi's (1813–1901) Falstaff. Virgil Thomson took notice of her performance and provided her with her Broadway stage debut in the Broadway revival of his Four Saints in Three Acts. Her ability then earned her the role of Bess in George Gershwin's (1898–1937) Porgy and Bess in a touring company that met with great successes in London, England; Paris, France; Berlin, Germany; and Moscow, Russia. She also played Bess when the company performed Porgy and Bess on Broadway. During the tour she married William Warfield, who sang the role of Porgy. Other composers took note of Price's ability, and in 1953 she sang premieres of works by Henri Sauget, Lou Harrison, John La Montaine, and Igor Stravinsky (188–1971), among others. successfully that year and sang Aida at La Scala in Milan. She continued to sing with the San Francisco Opera, as well as with the Lyric Opera of Chicago and other major opera houses in North America. In 1960 Price portrayed Donna Anna in Don Giovanni at the Salzburg Festival in Austria. On January 27, 1961, she made her debut in New York's famous Metropolitan Opera as Leonora in Il Trovatore, which earned her thunderous applause and moved opera critics to regard her as one of the greats of the twentieth century. She also sang the title role at the Metropolitan Opera in Madame Butterfly and the role of Minnie in La Franciulla del West (The Girl of the Golden West). Price appeared in 118 Metropolitan productions between 1961 and 1969. In 1965 she was awarded the Presidential Medal of Freedom by President Lyndon Johnson (1908–1973), who said, "Her singing has brought light to her land." One of Price's greatest triumphs was her creation of the role of Cleopatra in Samuel Barber's Antony and Cleopatra. Its premiere opened the 1966 Metropolitan Opera season as well as the beautiful new Metropolitan Opera House in Lincoln Center. Her best and favorite performances were as Verdi heroines Elvira in Ernani, Leonora in Il Trovatore, Amelia in The Masked Ball, and especially as Aida. Price made other worldwide tours that included Australia and Argentina's Teatro Colon in Buenos Aires in 1969. In the 1970s Price drastically cut the number of opera appearances, preferring to focus instead on her first love, recitals (solo performances), in which she enjoyed the challenge of creating several characters on stage in succession. In 1985, Price gave her final performance at New York's Lincoln Center in the title role of Verdi's Aida. She was fifty-seven years old. Price made numerous recordings of music outside of opera and was awarded honorary degrees from Dartmouth College, Howard University, and Fordham University, among others. Music critics universally lavished praise on her voice and her portrayals. Divorced from Warfield in 1972, she lives in her homes in Rome, Italy, and New York. In October of 2001, Price briefly came out of retirement to give her rendition of "America the Beautiful" to a capacity crowd at Carnegie Hall. The performance opened a special ceremony dedicated to the memory of those who died in the terrorists attacks of September 11, 2001, when thousands died in New York City after two planes crashed into the World Trade Center. Lyon, Hugh Lee. Leontyne Price: Highlights of a Prima Donna. New York: Vantage Press, 1973. McNair, Joseph D. Leontyne Price. Chanhassen, MN: Child's World, 2001. Steins, Richard. Leontyne Price, Opera Superstar. Woodbridge, CT: Blackbirch Press, 1993. Woronoff, Kristen. 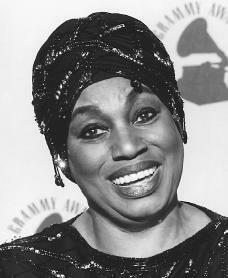 Leontyne Price. Woodbridge, CT: Blackbirch Press, 2002.